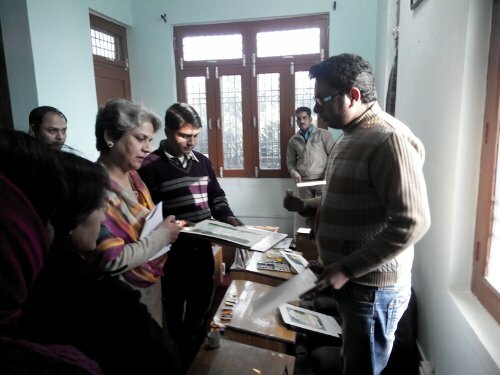 Mr. Monu Mumar and Mr Rajeev Kumar, resident artists of KAPS explaining the techniques of making Kangra miniatures to Ms Upma Chaudhary. 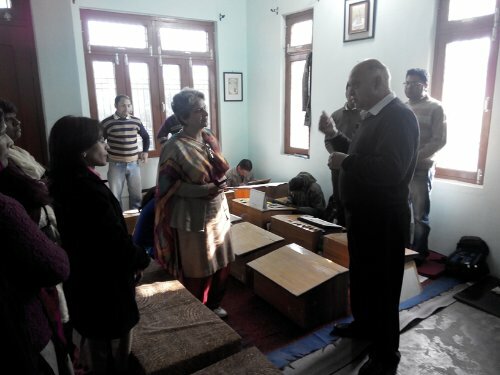 Ms Upma Chaudhary, Secretary, Language, Art and Culture, Government of Himachal Pradesh, visited the new premises of Chitera School. She met the artists and spent time understanding the art and work done by KAPS in revival of this art. 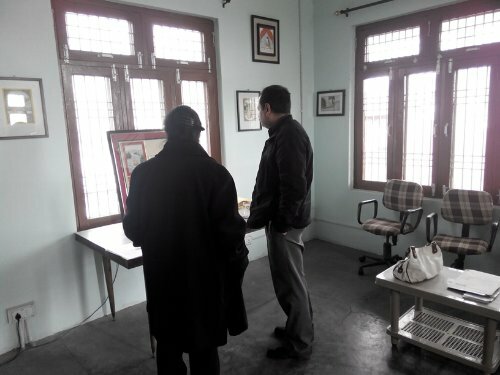 Dr Akshai Runchal, Vice President, KAPS sharing information about the Kangra miniatures with Ms Upma Chaudhary.